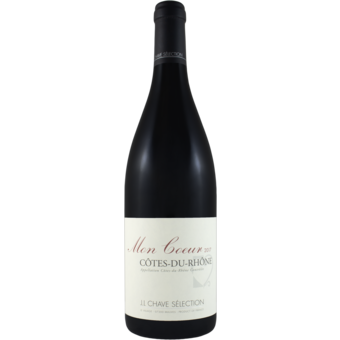 Jean-Louis makes these négociant wines to showcase what he believes to be the potential appellations with which he works. 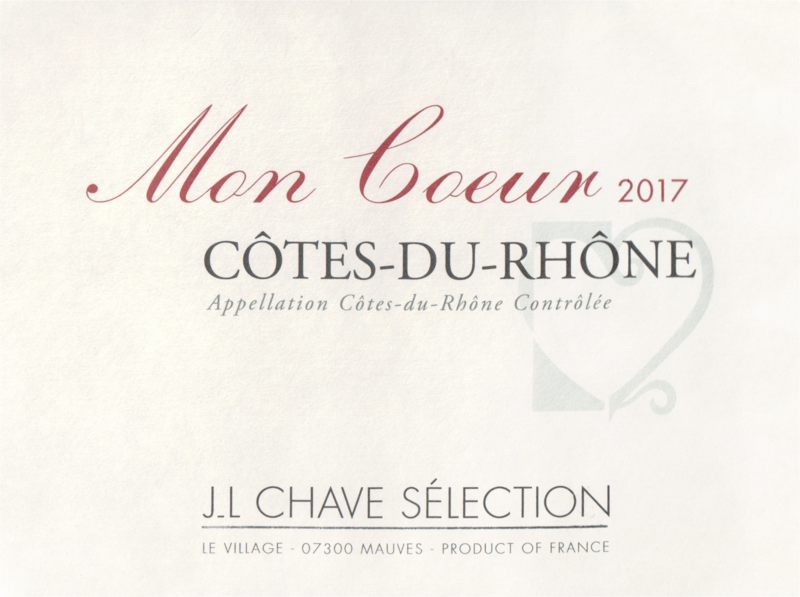 The Côtes du Rhône ‘Mon Coeur’ is a blend of four distinct terroir located in and around Chateauneuf-du-Pape. Though the blend varies year to year, it is roughly 50% Syrah and 50% Grenache. Vine age is between 20-60 years. Visan: Located in the region of the Drome provençal, the southfacing vineyard is situated in the “garrigue”(the brambly bush area prevalent in the south of France in which thyme, heather, juniper, lavender, rosemary, scotch broom, scrub oak, and blackberries grow wild). Visan has a perfect alluvial soil for Syrah which gives power and elegance to the blend. Buisson: This northfacing hillside vineyard looks across the river Aygues (pronounced Egg) at the Visan vineyard. Its location is ideal for Grenache due to a soil composed mostly of sand and clay at deep levels and large “galets” (or large rounded riverbed stones) on the surface which retain a summer day’s heat well into the evening, giving the grapes an added opportunity to ripen. However, the northfacing exposition on the hillside shelters the Grenache from over-ripening, thus preventing a heavy wine, high in alcohol lacking texture and class. This vineyard produces a wine expressive of its fruit, texture, and stony terroir. Vinsobres: Situated on the plateau of Vinsobres to the southeast of the village of Valréas, this vineyard lies in the middle of an area know as the “Enclave des Papes”. The vines (100% Syrah) are planted at nearly 900 feet in altitude on a clay soil which is extremely rich in limestone. Due to its high altitude and septentrional location, the vineyard yields a wine with incredible purity, definition, and focus. Estézargues: The most southerly located vineyard with which we work, Estézargues brings power to our blend with its old-vines Grenache planted on heavy clay soil. The wines produced here are voluptuous, rich, and high in glycerol. They add structure and depth to complete the harmony of Mon Coeur.